With the explosion of internet video, services such as Netflix Canada are prospering. The only thing stopping this is the controversy over usage-based billing (UBB). Earlier this year, Bell was caught up in a media firestorm over their plans to implement UBB to resellers such as Teksavvy. The furore has clearly damaged what Bissonnette characterizes as the companyâ€™s good customer relationships. Wow. Talk about a huge turnaround of events. I wonder what these plans will be like when they are announced. 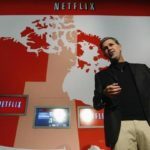 UBB is a huge threat to companies such as Netflix in Canada, and others that are reliant on internet use. What can we do? Sign this petition at StoptheMeter.ca if you haven’t already. Are you a Shaw customer? How do you feel about their upcoming UBB plans?